Posted: Saturday, March 5, 2016. 5:06 pm CST. 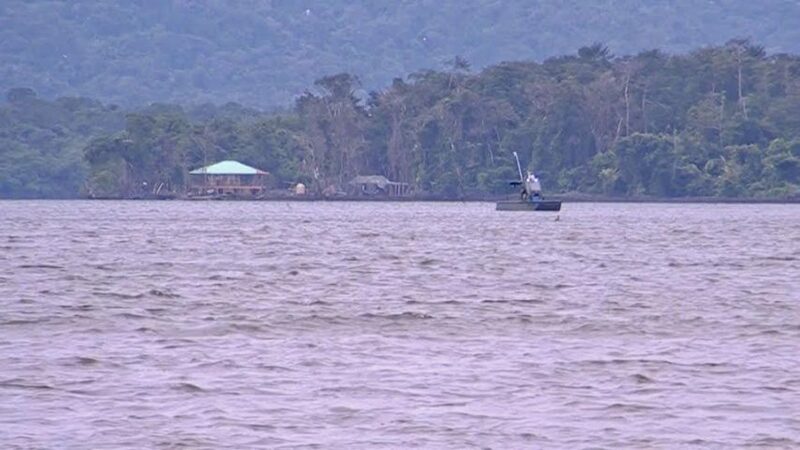 By Aaron Humes: The Government of Belize has sent a diplomatic protest note to Guatemala about last weekend’s Sarstoon showdown between the Guatemalan Military and the Territorial Volunteers. Minister of Foreign Affairs Wilfred Elrington made the point that even though the language will be calm, the Belize Government will still be forceful in their protest of the actions taken by the Guatemalan Navy. A photo, which has been attached to the protest note, shows the direct positioning of the boats at the Mouth of the Sarstoon last week Saturday. 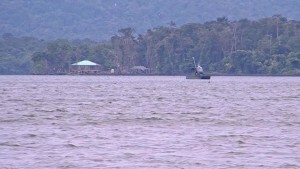 At the top, sitting in Belizean waters, are the two boats from the Territorial Volunteers. Right at the entrance, in the form of a blockade, are 3 Guatemalan Vessels, one of which is squarely in Belizean territorial waters. The other looks to be in neutral waters, and the third is in Guatemalan waters. We understand that this photo has been sent as part of the protest note since Wednesday. It says the government will raise its concerns with Guatemala and the Organization of American States.